Since the 1970s injured athletes have been using injections of platelet rich plasma to accelerate healing of afflicted tendon, joint and muscle tissues. According to too many studies, this method does not work. German researchers may have discovered why. In 2011, the world anti-doping authority [WADA] took platelet rich plasma from the doping list. Although in vitro studies, animal studies and small human studies suggested that injections with platelet rich plasma could make damaged joints and muscles heal faster, and perhaps even have local anabolic effects, in recent trials the effect of platelet rich plasma was disappointing. In that study, the researchers took 30-60 milliliters of blood from their test subjects, made 3-6 milliliters of platelet rich plasma, and injected them into an afflicted tendon. Then they analyzed the blood of the test subjects. 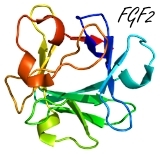 The injection with platelet rich plasmasignificantly increased the concentration of the growth factors IGF-1 and basic fibroblast growth factor [bFGF/FGF2] [a growth factor that stimulates the proliferation of collagen producing cells]. IGF-1 and FGFs are the doping list. The Stanford study did not lead to a return of platelet rich plasma to the doping list. However interesting the results were, there are simply too many studies in which platelet rich plasma does not work. In November 2018, German researchers published an ex vivo study in BioMed Central Musculoskeletal Disorders that makes clear why. The researchers took blood samples from subjects with a rotator cuff injury, and extracted platelet rich plasma. With regard to platelet rich plasma concentration and the production of growth factors by the platelets, it did not matter whether the subjects were younger or older and whether they were male or female. Then, the researchers brought the platelet rich plasma into contact with tissues from the damaged attachments of the test subjects in petri dishes. The platelet rich plasma stimulated the development of the cells in those tissues. However, the production of collagen type-1, the most important collagen type in attachments and tendons, did not increase but declined due to the exposure to platelet rich plasma. "These variables might contribute to the understanding of heterogeneous results in clinical and radiographic studies and the demand for further translational studies, while platelet rich plasma generally shows effects on human rotator cuff tendon cells in vitro", write the Germans. What would be the effect of treatment with platelet rich plasma in combination with supplementation with collagen peptides? Or with amino acids like glycine and proline? BMC Musculoskelet Disord. 2018 Nov 30;19(1):422. According to a study published in Nutrition Journal, the stuff - which comes from chicken carcasses - works better than the combination of glucosamine and chondroitin. 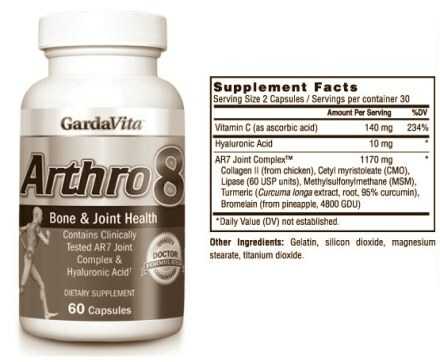 Supplements containing collagen reduce joint pain in people with arthritis and sports injuries. This is probably because extra collagen helps the cartilage in joints to recover. 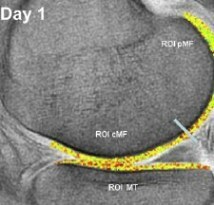 That collagen supplementation helps cartilage in joints to grow is not surprising, but now rheumatologists at Tufts Medical Center have recorded the effect by making MRI scans.